Can we just take a moment to oooh and aaah over the outfits my mom churned out for H this summer? She was kind of on a roll. 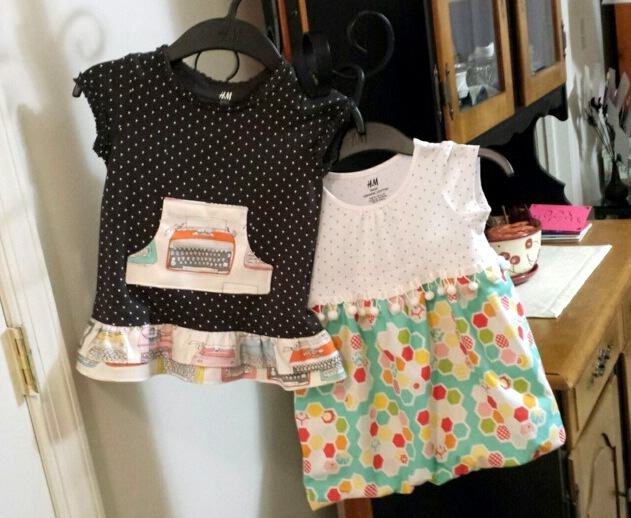 H hasn’t had a chance to wear the bubble dress in the photo above, but she has been rocking the black typewriter print dress (which is now more of a tunic thanks to a late-summer growth spurt). 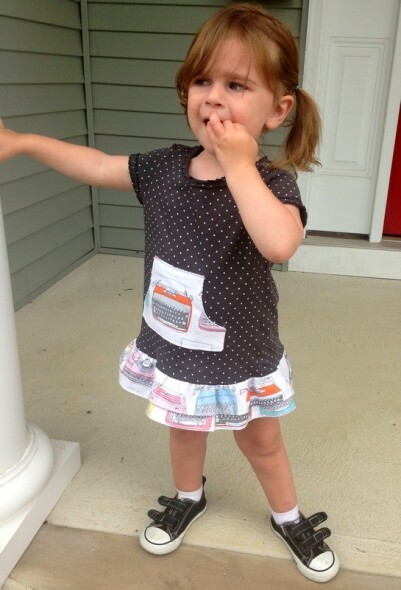 My mom also made her this adorable little shift dress from a pattern I immediately bought myself (although I think I will skip the applique). She also made H a version of this dress that’s just a green top with some shorts. My mom rules. At this time I’d like to mention that pretty much the only thing I have managed to sew this summer is a hat. But a pretty awesome hat! 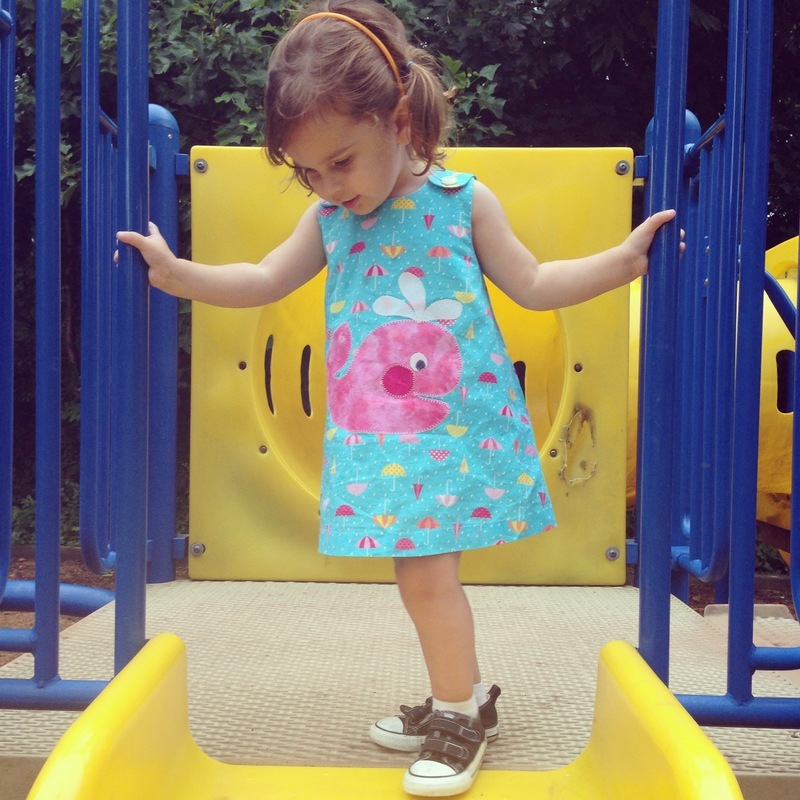 H looks so adorable in the beautiful dresses your mom made! She is one lucky little girl!